Locks & padlocks: resistance tests in salt spray for Viro 304 padlock. 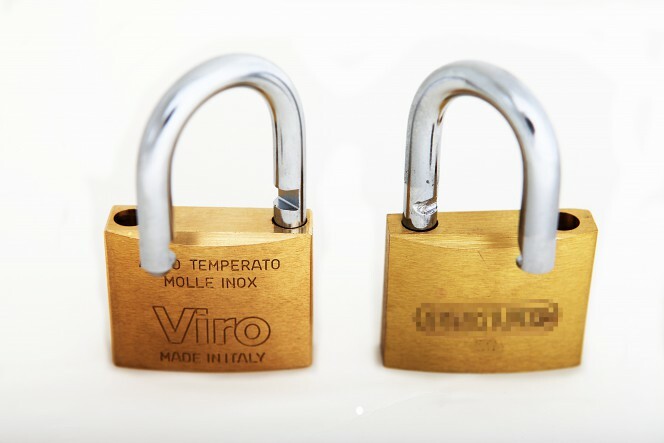 As we mentioned in last week’s blog, this week it is time for facts, and we will tell you how the two padlocks (one original Viro and one not) reacted to the corrosion resistance test. Just like the tests carried out on the Viro and imitation chains, we also used for the padlock comparison tests, within our testing laboratory, instruments to determine the true quality of the products. The main purpose of the tests is to monitor the behaviour of the materials used and the products made from these materials, reproducing the actual conditions of use. The first test performed, as usual, is that of the corrosion resistance in salt spray. The samples placed inside the chamber used for the experiment are exposed to a highly saline and corrosive environment which, in a relatively short time, acts on the products and simulates years of use (for example, every hour in salt spray corresponds to about a week of continuous exposure to the elements). 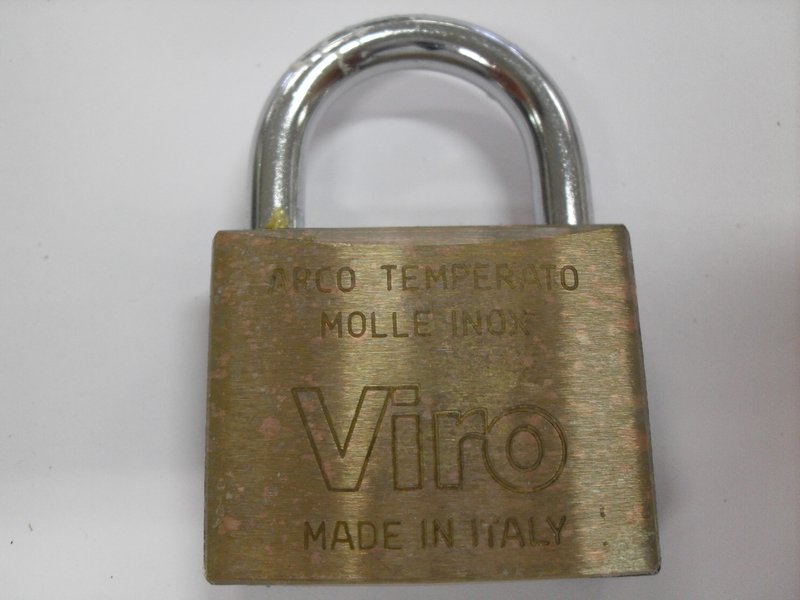 In this blog we will present the example of a Made in Italy Viro item 304 padlock, which has been subjected to 18 hours in salt spray. 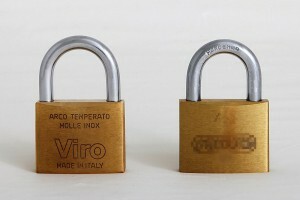 At the same time, an imported padlock, which is widespread on the Italian market, but not produced in Italy, undergoes the same test under the same conditions. In the previous blog we summarised which features a padlock should possess in order to guarantee safety and reliability over time. By comparing materials, chemical treatments and the mechanism of the two products, which are fundamental features for evaluating the quality of a padlock, it can be seen that there is not a great difference with regards to the material used for the body. This, in fact, turns out to be brass in both cases. However, as can be seen in the photos below, the two padlocks have reacted in clearly different ways to the test. Both products have undergone changes in appearance. 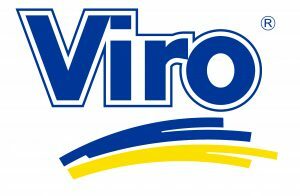 The Viro padlock, however, unlike that of the competitor, even though it does not have transparent paint on the surface, can return to the initial conditions simply by cleaning the surface. However, the factor to which most attention must be paid is that of the operation. In fact, the Made in Italy product works perfectly after 18 hours in salt spray, while the imported product can no longer be opened and closed normally for locking the mechanism. These tests represent one of the most effective tools for testing the true reliability of a product, by observing their behaviour in an environment with severe climatic characteristics reproduced perfectly. In the next blog we will talk about the substantial differences in terms of the mechanism in the two padlocks and how they reacted to the pull-out and lock-bolt cutting tests. This entry was posted in Padlocks and tagged products, technology, tips on 7 February 2017 by calessandrini.